Paradise Energy Solutions is a family-owned, full-service solar installation company that provides turnkey, grid-tied solar installations throughout the mid-Atlantic region for businesses, farmers, and homeowners. 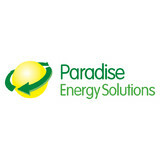 With over 1,000 completed installations, Paradise Energy is an established solar industry leader. 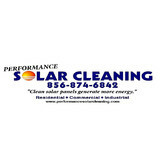 Clean and wash solar panels. We also do exterior cleaning, pressure washing, gutter cleaning repair and replacement. 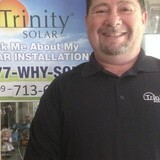 Local, family-owned business specializing in solar design and installation for residential and commercial properties. Ground and Roof Mount. 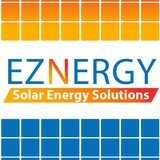 We are solar energy consultants, designers, and installers. We pride ourselves on using American made components and believe installing a solar system is one of the most patriotic actions you can make. We know American energy independence is national security and we work hard to make it a reality. Smith Sustainable Design of Yardley, PA in Bucks County specializes in residential and light commercial Alternative Energy Systems. We perform Energy Audits, design and install Solar Power, Solar Water Heater, and Geothermal Heating and Cooling Systems. Local Home Solar Installer PA. Leamy Electric Please see our web site for installation video's and all we offer. We are the best choice for all your electrical needs. Certified electrician. Electrician in PA.
Moore Energy is a premier firm specializing in solar photovoltaic power systems for commercial and residential properties. We are the single source for our customers providing the design, cost/benefit analysis, installation, and maintenance for systems. Moore Energy is committed to providing our clients with the highest level of service. All of our systems are professionally installed and fully tested by trianed technicians. Are you interested in powering your Bellmawr home with solar energy? Whether you want to lower your electricity bill or help the environment (or both! ), hiring a New Jersey certified solar energy contractor is a smart first step to getting off the grid and getting into energy conservation. Solar energy professionals in Bellmawr, NJ can evaluate your needs and design, install and maintain the best renewable energy system for your home. Let’s say you want a solar electric system for your home. An off-grid system basically consists of solar panels and battery banks. These battery banks store the sun’s energy so you can use electricity at night or on a cloudy day. This system is designed to keep household electricity running for about two or three cloudy days; longer cloudy periods require a backup generator. To install an off-grid system, you’ll want to hire a certified New Jersey solar energy contractor. Along with off-grid solar, wind and hybrid energy systems that include batteries and backup generators, there are also grid-tied solar and wind operations. Grid-tied systems are attached to your Bellmawr, NJ utility company so if you produce more energy than you use, your meter goes down and you build up energy credits. Can you give me any information on New Jersey solar rebate programs? 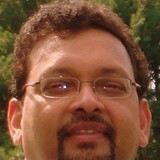 Find solar energy contractors in Bellmawr, NJ on Houzz. Search the Professionals section for Bellmawr, NJ solar energy contractors or browse Bellmawr, NJ photos of completed installations and look for the solar energy contractor’s contact information.